Chocolate and hazelnut is one of the great flavour combinations to come out of Italy. It was created in Turin at the turn of the 18th century when cocoa became scarce and local chocolatiers would extend their chocolate using a paste made from local tondo gentile hazelnuts. The choc-hazelnut paste became known as Gianduja, the archetypal Piedmont character in the Commedia dell’Arte. There are many co-opted, industrially produced versions of Gianduja, (e.g. Nutella), however Piedmont artisanal chocolatiers Giraudi have remained true to the original recipe and blend 32% tondo gentile hazelnuts with finest quality chocolate to produce a rich, luscious spread which they call Giacometta (who is the wife of Gianduja). Serving Suggestions: This is seriously good for using in all manner of desserts and fillings, or simply spreading over Pandoro or toast. 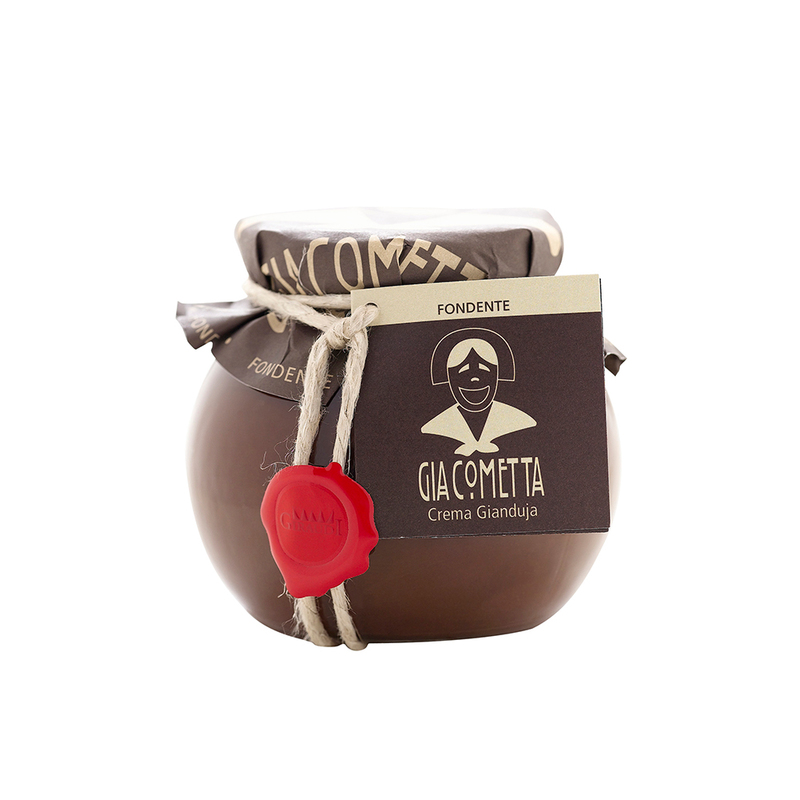 Giacometta is best served at room temperature for optimum enjoyment. This product contains no artificial emulsifiers so some separation of solids and natural oils may occur. Stir well before use.